Current State talks to Michigan native Katie Hammond about her comedy career and her work with the improvised show Broadway's Next Hit Musical. You’ve probably heard of improv comedy. You’ve maybe even seen an improv show, but chances are, you’ve never seen something quite like Broadway’s Next Hit Musical. The cast of this New York comedy show essentially makes up musicals on the spot, and they’re coming to East Lansing tomorrow. Current State producer Katie Cook talks to cast member and Michigan native Katie Hammond about how the cast manages to produce a fully improvised musical at each performance. A new comedy series in Lansing is bringing its audiences stand-up with a side of witches. 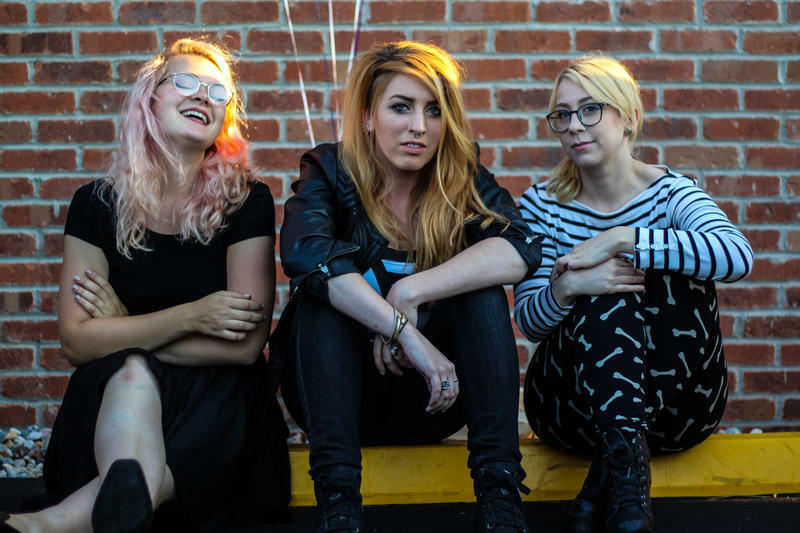 We talk to the women behind Comedy Coven ahead of their show at The Robin Theatre on Tuesday. Lansing has been without a comedy club since Connxtions closed last April. Over the weekend, a new comedy venue opened up for business at Tripper’s in Frandor. Touring comics will be performing in Lansing every week, bringing laughs to an audience that’s been starved for funny stuff for a while.